There are three elements that must be present before a criminal can commit an illegal act: DESIRE, ABILITY and OPPORTUNITY. By eliminating just one of these components, crime can be averted. 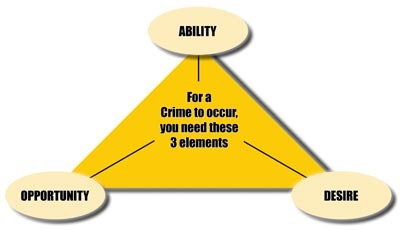 While control over the first two elements, DESIRE and ABILITY rests solely with the suspect, you can have considerable impact on the third – OPPORTUNITY. Crime prevention is largely using instinct, action, and common sense, to eliminate (or greatly reduce) a criminal’s opportunity. Your responsibility lies in removing opportunity to decrease the likelihood of becoming a victim. While the blame for illegal acts rests with the criminal, the fact remains we all have a crucial role to play in the area of crime prevention. Crime prevention requires a holistic approach involving every member of the community. The collective actions of everyone within a neighborhood are vital to success. 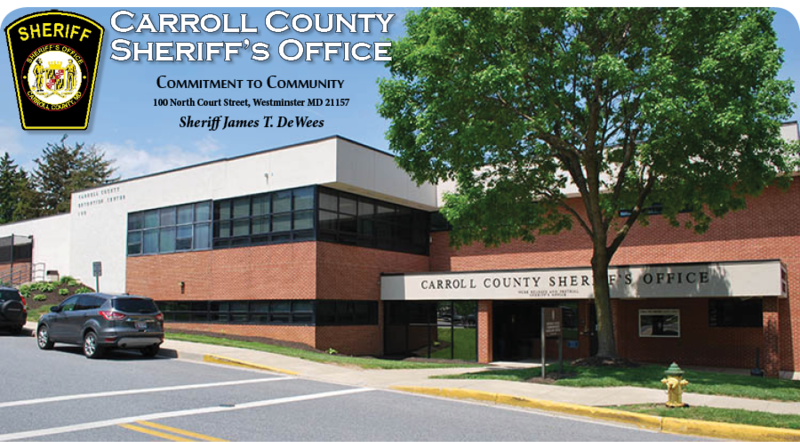 For more information on how you can prevent crime in your neighborhood, please view and/or print our brochure entitled "Understanding Crime Prevention". If you would like more information on how to protect yourself from becoming a victim of Identity Theft or what to do if you should become a victim, please view/print our brochure "Don't Be A Victim".